Your creativity will start to shine through after a couple of weeks. Ideas will flow, and inspiration will start oozing out of your pores. By simply exercising your creative muscle, you open the doors to endless possibilities. Fear holds creativity back for many people, leaving them to succumb to perfectionism and anxiety of being rejected by others. A good writer will rely on their own steam to get them by. Write a little everyday, and your writing fear will disappear. Your confidence will overflow, because you've learnt to conquer your fear. There are lots of different kinds of writing to choose from. 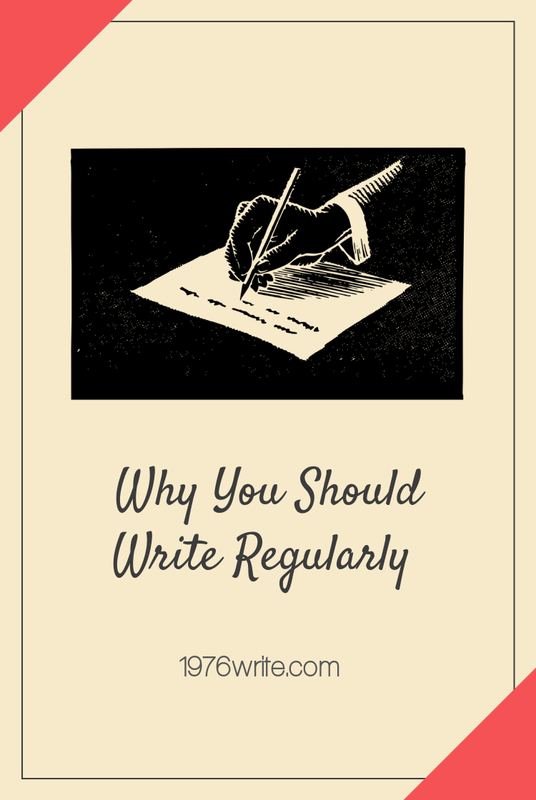 Writing regularly allows you to dabble a little, and stretch your writing muscle. If you're writing blog posts, why not try copywriting. If you're in the middle of writing a book, try writing a short poem. Perfectionism is an easy trap to fall into, leaving you to think that you should only be doing your best work all of the time. Even for the most proficient writer, writing a perfect draft is an impossibility. By only seeking perfection, you miss out learning from your mistakes, and overcoming your fear of failing as a writer. Have a reason to write something, like a writing a journal or a short or poem. Make a point of writing for 15 minutes a day. Shut the world out, and just write. Make a note on your calendar or diary, and choose when you want to write. Even the really great writer's we all know and love, made mistakes. If you make mistakes, embrace them. So in short, simple terms set yourself reminders, stay focused and write. Good advice even for those who've been writing for years. Thanks for your comment Vickie.